Lancashire County Councils, Fylde East Councillor, Liz Oades is delighted that more highways works are being carried out in Wesham. 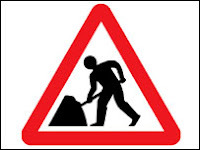 Following the recent re-surfacing of Garstang Rd South, the long awaited work on Garstang Road North is scheduled to be commenced on 6th March until 13th March. Some inconvenience is inevitable, with single carriageway operation and temporary traffic lights, but the end result will be well worth it. Station Road is scheduled to be completed at the start of the new financial year. Following excellent co-operation from Weshams’ Fylde Borough Councillor, Cllr Mrs Linda Nulty, and Wesham Town Council, many areas were previously identified that are now being completed. Since being elected over 3 years ago, Cllr Oades has worked with the LCC highway department to get a rolling programme of works carried out in her Ward and is pleased that more road/footway treatments are added each year, she believes that regular maintenance is essential to ensure that roads and pavements are kept in a good state of repair. Cllr Oades also commented that the County Council has added an extra £5.746 million in the 2008/09 year with a further £5.218 million allocated for the following two years. The WAG group are dedicated to fighting against the Metacre proposal for 264 dwellings to be built on the land to the north of Mowbreck Lane, Wesham. The group of over 25 residents that volunteered at the public meeting (21st Jan 09) to form an action group, attended a meeting last night (5th February) at Wesham Community Centre. The enthusiastic members discussed the next steps forward in working in parallel with the Town Council to register their objections to the Metacre proposal. The group have adopted the name 'Wesham Action Group' and appointed a Chairman. Over the next few days the Wesham Forum will publicise the progress that is being made and provide links to a dedicated web site currently being organised and also to http://www.wesham.org.uk/. DO YOU SUPPORT THE PROPOSAL FOR THE MILL FARM PLANNING APPLICATION? Looking for a place to Hire a Room for a Party or an Event? Would you like to contact the 'Wesham Forum'?